In addition to all website products being available for pick up locally; some products are only available for pick up from our facility due to the size, weight or bulk. 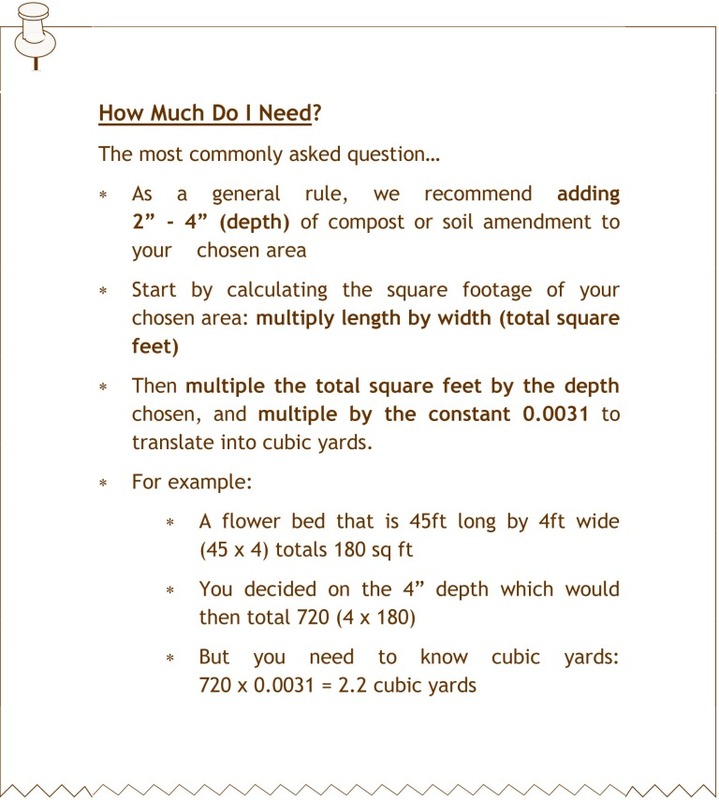 We have information on our Organic Soil Amendment page on the following: what is a healthy soil; Soil Amendment Use Chart (which amendment for which condition); and a pH Chart (pH levels needed for vegetables, herbs and fruits). It helps to restore the natural balance of soil by adding beneficial micro-organisms to the soil to increase the helpful bacteria and fungal activity. 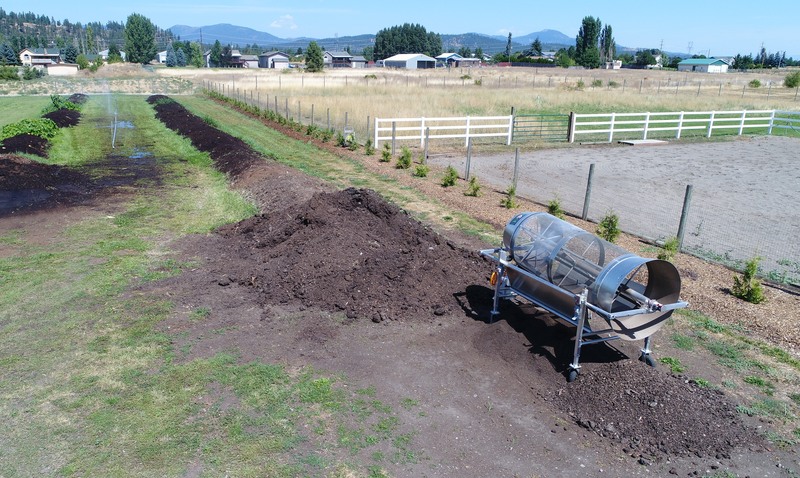 These naturally occurring micro-organisms are nature's way of breaking down the soil's compost releasing nutrients in a form that is more easily absorbed by the plants. Our worm cast comes straight from the worm incubators (worm beds) or wind rows and contains some non-processed debris or debris that hasn't been broken down completely. This is excellent for potted plants, flower and vegetable gardens, and landscaping. Bulk cast is available at the store in the following quantities: Bring-Your-Own-Bucket (1 - 5 gallons), Bucket (our 5 gallon bucket), 1/2 yard, 1-yard, and so on. Please call for pricing. We sell 5lb bags of cast (SoilBoost) that has been screened to remove any remaining non-processed debris (debris that hasn't been broken down completely) creating a more concentrated cast. This is preferred for worm teas along with being excellent for potted plants, flower and vegetable gardens, and landscaping. A larger project yet? Delivery Service includes bulk product orders and palliated 1-yard (or larger) totes. We have the ability to ship commercially, or to deliver within our Region. Please call 509-928-3995 for further information and a quote. Let us help you get the bulk and/or custom products you need in a timely manner. Commercial Growers please call 509-981-4323 for assistance. Our Bulk Products are offered locally from either our bulk soil pens or from store shelves. Please give us a call at 509-928-3995 (or contact us) if what you're looking for is not listed, there's a chance it's in the store or we can order it in for you. Commercial Growers please contact us at 509-981-4323.